Nov. 2. Hosted by North Shore Congregation Israel. Nov. 3. Hosted by JNF. 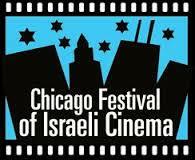 Official selection Los Angeles and London Jewish Festivals. A fictionalized account of real events. Upon his return from a trip to a concentration camp in the 1950’s, David Ben Gurion gives an order to develop Israel’s nuclear option as an insurance policy for the surviving Jewish people. Over the course of several years, in France and Israel, the scientists forge ahead, amidst great soul searching, unrequited love and international intrigue.